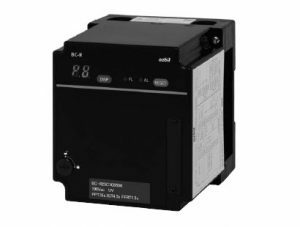 BC-R25 Series burner controllers are combustion safety controllers specifically designed for batch operation (systems which start and stop once within 24 hours). They ensure safety by automatically controlling the ignition, combustion monitoring, and fuel shutoff of oil and gas burners with on-off control. They are also equipped with a 7-segment display that can be used in maintenance, a trial operation mode that is convenient for trial operation and adjustment, and other features. Additionally, the BC-R25 with host communications (RS-485) and Smart Loader Package functions, allowing troubleshooting and more detailed observation of status.